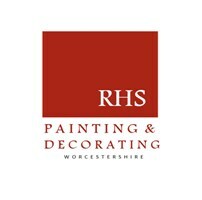 RH Smith Painting & Decorating - Painter/Decorator based in Worcester, Worcestershire. My name is Ryan, the proprietor of RH Smith Painting and Decorating. We are an established family-run business, committed to providing a service of the highest standard. At RH Smith Painting and Decorating we cover both domestic and commercial sectors. With relevant previous experience and extensive knowledge, we offer a friendly and efficient service for interior and exterior projects.